Greenbelt, MD Saxophone Lessons Near Me | Fun Classes. Top Teachers. Check out some of our most popular teachers near Greenbelt, MD including Washington, Arlington, Alexandria, Silver Spring and Gaithersburg. Professional player. I can show you how to navigate what to do to sound GREAT!!!!!!!!
" There's a difference between playing the notes and making the Music. Wanna know the difference? "I've been a professional musician and teacher for over 35 years. I have a degree from the University of Minnesota and I studied music at the University of St. Thomas when I was in high school. I've performed and recorded with numerous artist including The Temptations, Peter Noone (Herman's Hermits), Bobby Z, Billy McLaughin, Presidential Inauguration 2005, The Shirelles, Martha Reeves, Larry King, The Guess Who, Quiet Riot, Loverboy, J. Hoye and many more. I received the Certificate of Achievement from Billboard Magazine for production and songwriting, etc.,etc. enough about me though. Excellent flute teacher. Inspiring and motivating. An exploratory journey in music and very enjoyable. I look forward to my lessons! Great teacher---I really enjoy the lesson. wow! so knowledgeable, I can't believe what I have learned in 3 lessons. And I never feel intimidated or feel I can't learn it. And this comes from an over the hill piano player. Highly recommend Schroeder!! I will customize your lessons to suit your learning style. I will combine music theory with your goals to develop a lesson plan. Learn the basics of the saxophone and learn your favorite repertoire from jazz to become a sassy sax player. Prepare yourself for big band music, jazz combo, and sax quintets! Hi, there! My name is Eric Rinehart and I can't wait to meet you! I am licensed in the Simply Music Piano Method and I am so excited because this program is quite literally the best thing I have seen in music education. I've been teaching private lessons since 2015 and have loved helping my students experience the joy of music, improve their performance skills, and learn to play their favorite songs early on in their lessons. Simply Music guarantees you will learn 30-50 songs in your first year of lessons! Isn't that incredible? I went to UCSB and earned a degree in Chemistry/Biochemistry in 2015. I'm a passionate, nurturing, and warm teacher excited to bring the FUN and joy of music making!! I look forward to helping you reach your goals! Ignite the joy of music. - Licensed Simply Music Educator. - 15 years of playing experience. -2 years of teaching experience. -2 time record-holding World Champion Euphonium player with the Concord Blue Devils. -Born to 5th generation piano family. To give my students a life long love to music with full creative expression. I began lessons with mom at the age of 8 and was hooked by music. After my fifteen years of playing and study of music, I continue to learn and evolve as a pianist and educator. When I am not playing the piano my other hobbies include going to learning about marketing and business, staying healthy, and watching something that will make me laugh. It is my dream to grow my strong communal piano academy of highly motivated students that pursue excellence in music. Eric tutored me throughout the 2016-2017 school year in AP Chemistry. Throughout the year I played competitive volleyball and Eric was always very flexible with scheduling and making sure he could fit me in- even if it was last minute. I could tell that Eric generally cared about how well I understood each piece of material. No matter how long it took for me to understand he never gave up on me; if one explanation didn't make sense to me, then he would reinterpret it another way. Even during times throughout the school year when I was just so over chemistry, he pushed me and he kept me on track. The impact that Eric had on me was incredible and I highly recommend his services. Without Eric's help, I know that I would not have been able to receive an A in this class or be able to manage all of my activities. I learned more about the subject of chemistry then I ever wanted too.... AND I ended up passing the AP exam! Thank YOU Eric! Eric recently played our baby grand piano during a Christmas party, and he was a delightful addition to the festive atmosphere. He played for about 5 hours and skillfully performed a repertoire of holiday classics and a perfect mix of standard classics which added to the holiday flair. We look forward to asking Eric to entertain our guests at a future festive party! What kind of music do you like? Have you tried learning music from a method book and just didn't have fun? Over the past 5 years of teaching several instruments I have developed a system of learning songs that YOU love and learn what music is about. With the songs you want to learn, we talk about articulation, intonation, and many exercises to help you become better. We can talk about reed care, instrument care as well! I am a professional Saxophone, Clarinet, and Flute player. I have been composing my own music for video games and short films, and working as a mixing engineer for a couple years now, just really exploring many different aspects of music. I have a degree from Utah Valley University in Commercial Music, and spent most of that degree on the performance aspect of music. My Saxophone students can expect some of the fun and some of the practical. 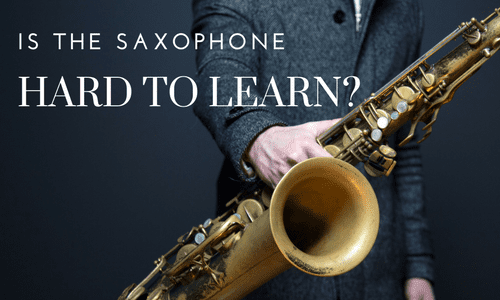 We will be working on articulation, tone production, intonation, breathing, different forms of vibrato and many other aspects of control over the saxophone while learning songs that you as the student want to learn. focus on learning cool songs and do things that few other instruments can do. I have a lot of fun with music theory. I try to be practical in what students need to know, but can teach much more. I have a jazz background and can teach jazz theory, including comping and improvisation. He was really nice and explained in a very easy way. Brandon is fantastic. I don't know that he's ever given me a word of bad advice, and has been a HUGE help in getting my career as a producer and narrator off the ground. He's incredibly knowledgeable and skillful, and my experiences in both hiring him and learning from him have been absolutely fantastic. I would heartily recommend him! I am a professional saxophonist, composer, and educator based in Boston, MA. I received a full scholarship to Berklee College of Music and graduated with a Bachelor's Degree in Music Performance. I have studied with George Garzone, Ralph Peterson, Tia Fuller, Shannon Leclaire. I have performed at Dizzy's Club Cola and Small's Jazz Club in New York City, Scullers Jazz Club in Boston, The Monterey Next Generation Jazz Festival in California. Knows what he's talking about, gets to the point, does not waste time, personable, and listens to where I want the training to go. Great teacher! I enjoyed our lesson! Nathan is great in mixing music practical skills with the fun part of playing real pieces. He is teaching me to play by ear so it is very fun! I highly recommend him. Saxophonists who study with me learn to be chameleons in the music world: not only will they learn a strong set of fundamentals, equipment management, and practice techniques, but they will become proficient performers of all styles that are required of them. This often includes jazz/improvisation, something I am incredibly passionate about! Originally from Bloomington, IN, I've worked as a music instructor and professional musician for over 8 years. I love being involved in all aspects of the music industry, whether it's writing, teaching, arranging, performing, recording, producing, or promoting. I have taught over 50 students in the 6 years I've been teaching, and have had several of those students go on to become music majors in college. My focus as an educator is to establish fundamentals and vitally important techniques as effectively and quickly as possible with my students. Then, it becomes more enjoyable and sustainable to begin making great music (all the while incorporating those important aspects of being a musician!). uitar, and many other instruments. I enjoy playing jazz and classical music the most, but have performed professionally with groups of just about every popular genre! My musical interests have no bounds, and I believe that all music has something great to offer. So, let's get started: beginner, intermediate, or advanced, we can begin rapidly building your musical foundation/career right away! Our youngest son studied trombone and tuba with Chris for many months. Chris is great with everything from teaching brass fundamentals to classical and jazz band music. I highly recommend him! Chris is the greatest! Both my son and I have studied drums with Chris. He can teach all levels from beginner to pro, is very punctual, and quickly returns messages. I highly recommend him! Our daughter has been taking lessons with Chris for more than a year and he's been great. He is knowledgeable and personable -- our daughter always learns a lot and has a good time in the process. We schedule him when he's in Bloomington and don't have any reservations recommending him to others. I would very much like the opportunity to share my 40 + professional years of accumulated knowledge and experience with music students of all ages, skill levels, and backgrounds. I teach all saxophones, flute, & clarinet lessons specializing in all genres of music. I teach using an approach focusing on confidence and control, personal solo voice and style development, and versatility and ensemble skills. I also help with ear training, harmonic knowledge, rhythmic accuracy, tone development, and all nuances of musicality. My name is Norbert Stachel, and I am a multi woodwind player, arranger, and composer, arranger, lecturer, and teacher. The orchestras that I have performed with include the St. Louis Symphony, Jacksonville Symphony Orchestra, Atlanta Symphony Orchestra, Richmond Symphony Orchestra, and the Delaware Symphony Orchestra. Outside of symphonic settings, my professional performance experience includes performances and recordings with artists including Tower Of Power, Prince, Freddie Hubbard, Roy Hargrove, Roger Waters, Tito Puente, Celia Cruz, Diana Ross, Boz Scaggs, Zigaboo Modeliste, D’Angelo, Billy Joel, Flora Purim & Airto, Les McCann, Wallace Roney, Charlie Haden, Benny Green, Don Cherry, Dream Theatre, The Temptations, The Four Tops, Aerosmith, En Vogue, and many others. nal years of accumulated knowledge and experience with music students of all ages, skill levels, and backgrounds. I teach all saxophones, flute, & clarinet lessons specializing in Classical, Jazz, R&B, Funk, Soul, Afro/Cuban, Klezmer, and World Music. I design a specific lesson program to address each unique student’s weaknesses and strengths, as well as honing in on the student’s individual musical goals and interests. Written materials will be used, as well as specific question/answer and demonstration/explanation techniques. I don’t force my own style on any student! My goal as the teacher is to help the student find their own personal voice and to help them get ready to embark on their own personal music journey in the real world! I also introduce and nurture the student's development and understanding of traditional techniques used for mastering all of the aforementioned musical styles. The written study materials used are not provided for free and must be purchased at the student’s expense. I suggest certain books to work out of, but I can work with the student using the materials that they are presently practicing with or want to work out of. I've got 20+ years of experience playing alto and tenor sax, both classical in the New York State all-state band and jazz in various ensembles on Long Island. Most of my teaching experience is with elementary to middle school-aged kids, though I have given lessons to adult learners in the past; my teaching methods vary based on student age, but no matter how many years you've been on this Earth, I'll still make the learning process engaging, enjoyable and efficient. Before you know it, you or your kid will be slaying it on the ax! I am an ex-New Yorker living in the DMV area who still hasn't lost his accent. I've played sax since childhood all the way through university, and studied under professional saxophonists and touring musicians. 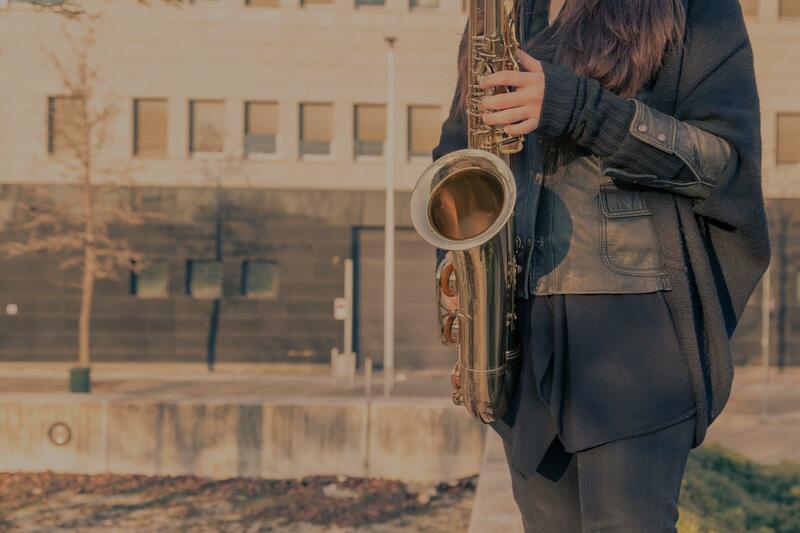 My official academic background is in foreign language, but music has always been a passion of mine, and I'd like to think that I've passed on that eagerness to learn to my sax and language students. wouldn't want to do the same to one of my students! If you like classical, we'll play classical; if you prefer jazz, then jazz it'll be! And if you like both, then more power to you! I can't wait to meet you and help you achieve your learning goals! We'll make you a regular Charlie Parker in no time. I'm an adult learner with no musical background and I wanted to learn to read music. I met Joey by chance (not through this site) and started getting private lessons from him at home. Music notation never made sense to me until he started to explain how math-based it is (simple math) and that was kind of an eye opener. He is outgoing and patient and clearly loves helping others. I've known Joe for a long time and he got my 5-year old son started with music. He's too young to play saxophone obviously but I wanted to get him interested in music in general and to have fun with it. Joe taught him some very basic stuff on a kid's digital piano and now my son can't get enough. Hopefully this will keep him interested in music all the way to high school! Can't find a teacher in Greenbelt, MD?